Tablet-like touchscreens have become the norm in most new cars, trucks, and SUVs. They serve several purposes: infotainment system, navigation, rear camera visual, and more. But in a shocking move, Mazda plans to remove touchscreens from its lineup, starting with the 2019 Mazda3. Contrary to what you might think, the move is not about saving money. In fact, Mazda plans to go back to tactile buttons and dials, which is actually more expensive than touchscreen technology. So why is Mazda considering this change? It’s all about safety. Mazda did some research to understand how drivers interact with their touchscreens and how much it leads to distraction. Alarmingly, Mazda found that these screens take a lot of our attention because every surface of the screen feels the same, meaning we actually have to look to ensure we are pressing the right buttons. Mazda’s study also notes that drivers can accidentally turn the steering wheel while reaching for the touchscreen. AAA and the University of Iowa’s Dr. Dan McGehee have also done research into the matter and concluded that using the touchscreen instead of buttons for tasks like adjusting volume and temperature requires more of our attention. Touchscreens also increase strain on our eyes, which can be damaging during long trips. El Dorado Mazda is glad that Mazda cares about your safety and is dedicated to keeping your eyes on the road. With its attention to detail, sculpted styling, and innovative technology, Mazda’s lineup demonstrates the makings of a new luxury brand. Most drivers tend to compare Mazda vehicles to other Japanese marques, like Nissan, Toyota, and Honda; however, once they test drive Mazda models and their rivals, it’s clear that Mazda outpaces both its direct competitors and most premium brands. With each new vehicle, Mazda’s designers and engineers up the ante. Although the Mazda CX-5 competes with the Toyota RAV4 and Honda CR-V, the Mazda team designed a vehicle that could take on luxury crossovers, too. While priced comparably to Honda, Toyota, and Nissan, the CX-5 includes features often found in luxury models. With its exciting driving dynamics, handcrafted details, and SKYACTIV® TECHNOLOGY, the Mazda CX-5 can challenge the Audi Q3 and Lexus NX. Mazda also has one signature model that’s unmatched by both luxury and mass-market competitors: the MX-5 Miata roadster. Now in its fourth generation, the Mazda MX-5 Miata raises the bar for class, design, and driving experience. 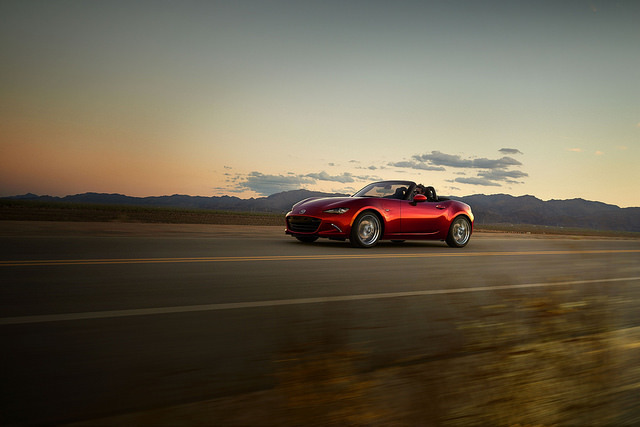 Most competitors don’t offer a roadster, and those that do can’t match Mazda’s pricing or style. 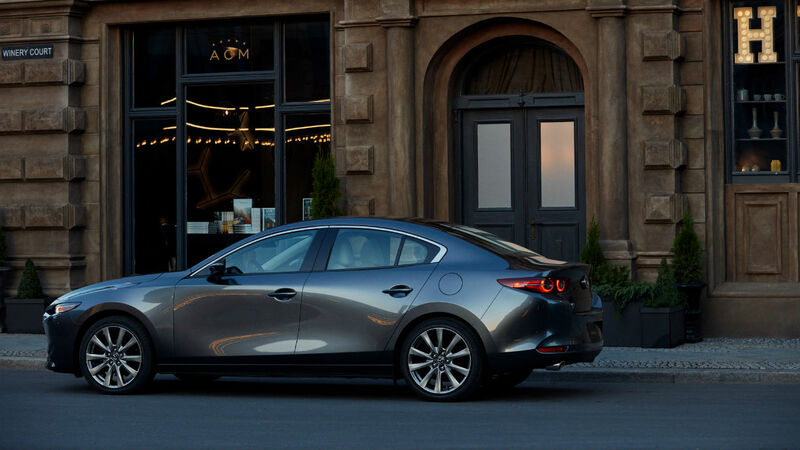 Experience Mazda’s commitment to quality at El Dorado Mazda. 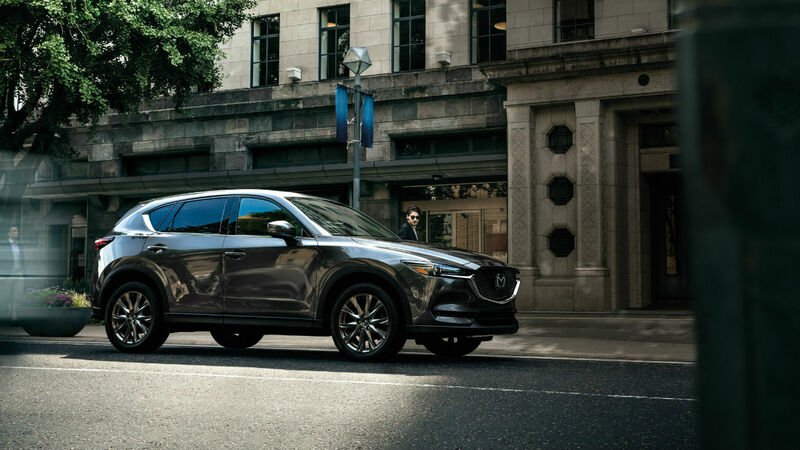 The brand new 2019 Mazda CX-5 Signature trim debuted last month at the 2018 Seattle Auto Show, which ran from Nov. 9-12. The Signature trim is now the range-topping trim for Mazda’s best-selling vehicle, the CX-5 crossover. The CX-5 Signature is powered by a turbocharged SKYACTIV-2.5T engine with G-Vectoring Control Plus. 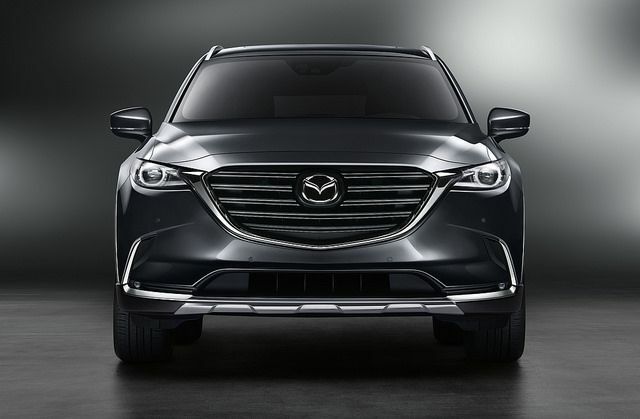 This engine also powers the larger CX-9 crossover and the Mazda6 sedan. The powertrain perfectly balances power and efficiency for the 2019 CX-5 Signature. 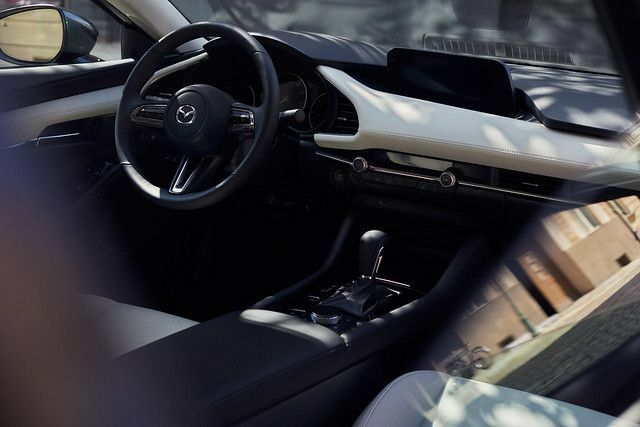 The 2019 Mazda CX-5 Signature is all about modern luxury. Premium materials include genuine layered wood trim and Caturra Brown Nappa leather. Tech is highly advanced in the Signature trim, including standard Apple CarPlay™ and Android Auto™ smartphone integration and a Bose® 10-speaker premium sound system. The Signature interior also includes heated and ventilated front seats, a heated steering wheel, heated rear seats, and a 360-degree View Monitor that includes front and rear parking sensors. Other trims in the 2019 Mazda CX-5 lineup include Sport, Touring, and Grand Touring. The Mazda CX-5 originally debuted in 2012; since its debut, Mazda has sold more than 2 million models worldwide. 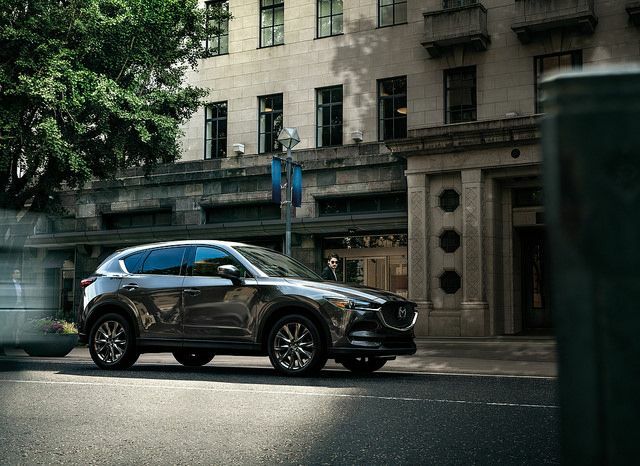 The new 2019 Mazda CX-5, including the Signature trim level, is now available at El Dorado Mazda. Last month on Nov. 16, Mazda and Toyota turned the first shovel of dirt on the future Mazda Toyota plant in Huntsville, Alabama. The plant will be jointly owned and operated by the two automotive giants and is expected to be operational by 2021. The new plant represents a $1.6 billion joint investment and, at peak capacity, will be able to create 300,000 vehicles a year. Mazda Toyota Manufacturing, U.S.A., Inc., as the plant will be named, will create 40,000 jobs in the Huntsville area. Toyota will use the plant to manufacture the new 2020 Corolla, which was unveiled last month in California. Mazda will use the plant to manufacture a crossover model that it has yet to unveil. The joint plant will allow the two automakers to be more agile and should be a competitive advantage for both Mazda and Toyota. 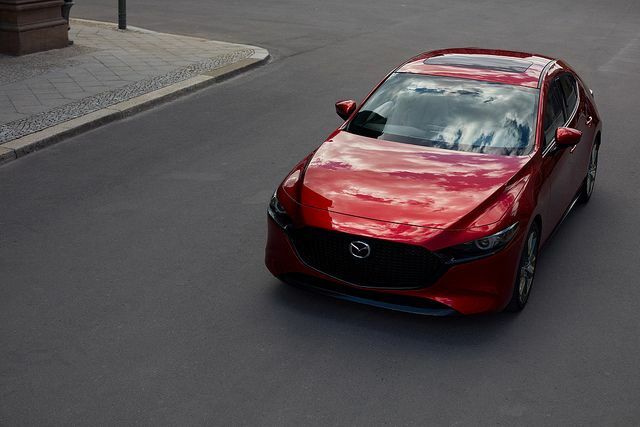 Here at El Dorado Mazda, we’re excited to see what’s to come for the Mazda brand! The Mazda MX-5 Miata comes with some exciting updates, including a tuned powertrain and a new soft-top option. For those looking for the ideal roadster, the Miata might be the right answer. The latest powertrain adds an impressive 26 horsepower and 3 lb-ft of torque, while the refined exterior is bound to set you apart on the road. According to Mazda, the Mazda MX-5 updates will include a “SKYACTIV®-G 2.0-liter engine that’s been specially tuned for the latest model year. There will also be an available brown soft top on the Grand Touring models, while a new aluminum steering column will reduce weight and improve speed. There’s also a standard rearview camera now — which is great for parallel parking — as well as available safety systems like Traffic Sign Recognition. “The feeling you get on the open road in a lightweight roadster is unmatched. To build upon that feeling, Mazda’s engineers have enriched the 2019 MX-5 Miata’s “SKYACTIV®-G 2.0-liter engine to boast 17 percent more power and greater fuel-efficiency than last year’s model,” reads the Mazda press release. For those looking for a little added power, you can also find a SKYACTIV®-MT system with Brembo brakes, alloy wheels, a rear bumper skirt, and more. Stick with the cobweb classics: Keep things old school by covering your car in fake spider webs. The webs will make it look as if your car was abandoned decades ago. Bonus points if you add in toy spiders and play creepy music from the stereo. Go with a theme: If your children are passionate about a certain movie, time in history, TV show, or pop culture icon, follow their lead and decorate your vehicle accordingly. Popular options are Harry Potter, complete with a sorting hat to sort children into a house before giving them a corresponding candy (like green Jolly Ranchers for Slytherin); Bob’s Burgers, including a grill with delicious burgers parents will love too; and Founding Fathers, by converting your car into a classic horse and buggy and dressing up as George Washington and Honest Abe. Fill the bed of your pickup with leaves: Pickup trucks provide the perfect platform for fall-time spooks. Load up the bed with fallen leaves, and mix in classic autumn decor like pumpkins and scarecrows. 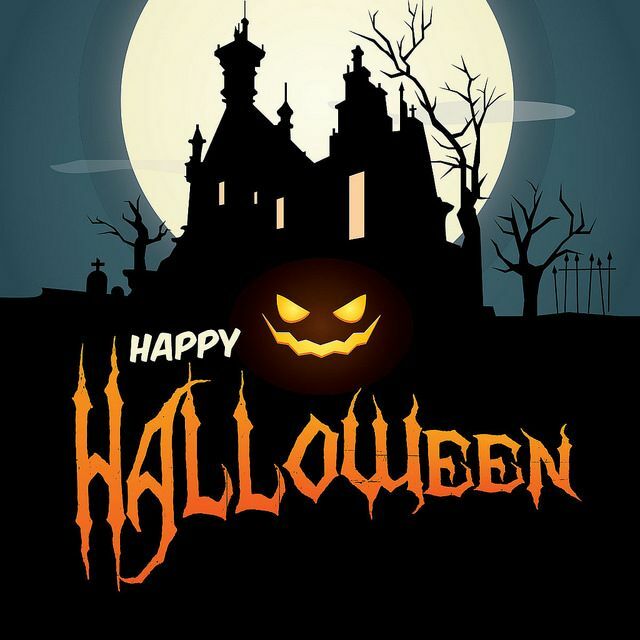 Contact us at El Dorado Mazda to find out about local Halloween activities to participate in. We can also set you up with a test drive, if you’re in the market for a new ride.